Hi everyone! It’s time for The Alley Way Stamps January release blog hop! The new stamps are awesome. There are THREE new sets and ONE mini set in this release and they are available to buy from TAWS right now! Yay! Today, I’m showcasing the *NEW* Nessie mini set! The sentiment is from the Lighter than air set. I used a stencil that I sponged with Distress inks to get this rainbow splatter. There are PLENTY of different ways to win! You can pick and choose which ones you want to do. But the more ways you choose, the more chances you have to win! One way is to enter the Rafflecopter on the TAWS blog. For our friends that are not on social media, you can join in too and comment on the TAWS blog – we will randomly pick from either the Rafflecopter participants or commenters! Another way to win the new sets is to comment along this blog hop. So be sure to check out the TAWS blog for all the details. You have until tonight at 9:00 PM TAWS time! Such a sweet card Francine! Love it! The stamp is so cute. This stamp is adorable and you made an even more adorable card with it. 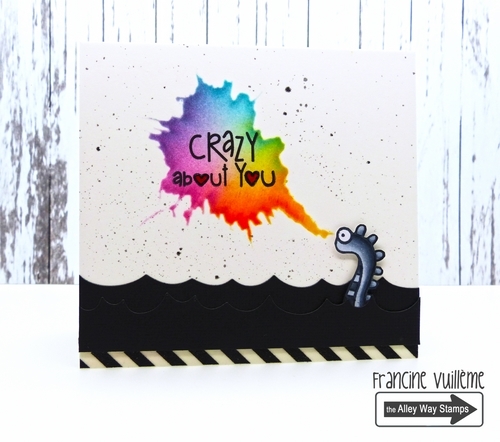 Your rainbow splatter is such fun along with Nessie! Thanks for joining us at the Simon Says Stamp Wednesday challenge, Francine! love the rainbow splatter! !great card!! What an absolutely amazing card! Love that sweet little Nessie image and the way you did the water coloring really sets it off! I love the rainbow splatter!!! Cute card with a great splotch of color. I always love your cards! So unique. I'm lovin' the black water that Nessie is swimming in, and that lovely splash of color behind the sentiment. Super job on this project. Thanks for sharing your creativity. Wow this is really awesome that rainbow splatter wow. TFS. Love the splatter of color. Was für eine tolle Karte, liebe Francine! Schlicht und einfach und mit einem besonderen Hingucker. Klasse! Too cute! Love the Nessie image! Amazing card!!! I love it! How fun....the colorful dragon fire is such a neat idea! I always enjoy looking at your card creations, very cute. What a fabulous addition you are to the TAWS team. I've loved both your cards this release! Your rainbow splatter is just awesome. This is fabulous - LOVE that rainbow splatter! Happy New Year to you! Cute use of two stamp sets! Love the colors you used on this card. So pretty. Super cute card and cute stamps. 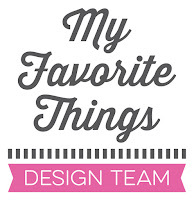 I LOVE this design!! Super fun! darling card... love those colors! Hey Francine!! Your card is totally awesome. I love the watercolor panel coming out of the dragons mouth. So cute.